Even if it is a desired procedure for self-improvement or oral health, many people avoid going to the dentist. At the same time, most people don’t slow down often enough to take time for a relaxing vacation. Both ventures are important for your well being, so why not combine the two! 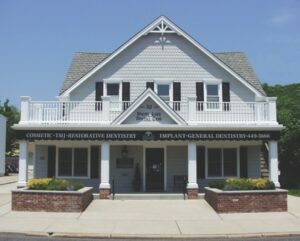 Whether you want quality cosmetic dental work to refresh your appearance or you have been putting off your annual cleaning, Dr. Peter Ciampi and his staff of friendly professionals welcome you to beautiful Spring Lake, New Jersey and their practice, Spring Lake Dental Care. Part dentist and part travel consultant, Dr. Peter Ciampi assists out of town patients with finding accommodations for their dental vacation. Located on the beautiful New Jersey Shore, Spring Lake Dental Care’s skilled and hospitable staff, led by respected cosmetic dentist, Dr. Ciampi offer special appointment times to further accommodate the vacationer’s schedule. With the excitement of New York City and Philadelphia both only 90 minutes away from its tranquility, historical beauty and pristine beaches, Spring Lake is the perfect spot for your next vacation. Combine this idyllic location with the dental mastery of Dr. Ciampi and your decision seems even easier! Named for the fountains of crystal clear water that emanate from underground springs and feed into the town’s largest lake, Spring Lake is considered one of the most beautiful seashore communities in the state. Incorporated in the 1800′s, large, well-kept Victorian mansions line the manicured, tree-shaded streets of this picturesque, affluent destination. With a pleasant atmosphere and easy pace, Spring Lake boasts gorgeous white, sandy beaches and the longest non-commercial boardwalk in New Jersey. When in Spring Lake relax in the comfort of a cozy bed and breakfast, receive a therapeutic massage and savor gourmet food from the local restaurants offering choices of everything from home-cooked meals to elegant continental cuisine. There is something for everyone with many fine boutiques, entertainment venues including a community theater, and nearby golfing, tennis, fishing, bicycling, water skiing, boating, horseback riding, and even thoroughbred racing. We want to help you look forward to your next trip to the dentist! Contact Spring Lake Dental Care in New Jersey and benefit from the latest technology in a relaxed, welcoming atmosphere.